Is this what the inquisitive little squirrel monkey that is looking into The Princess lens cover is asking? He certainly seems rather impressed with his reflection. His friends must be photographers in the making because while this little chap is checking out the lens filter, they are rather keen to get into my camera bag! 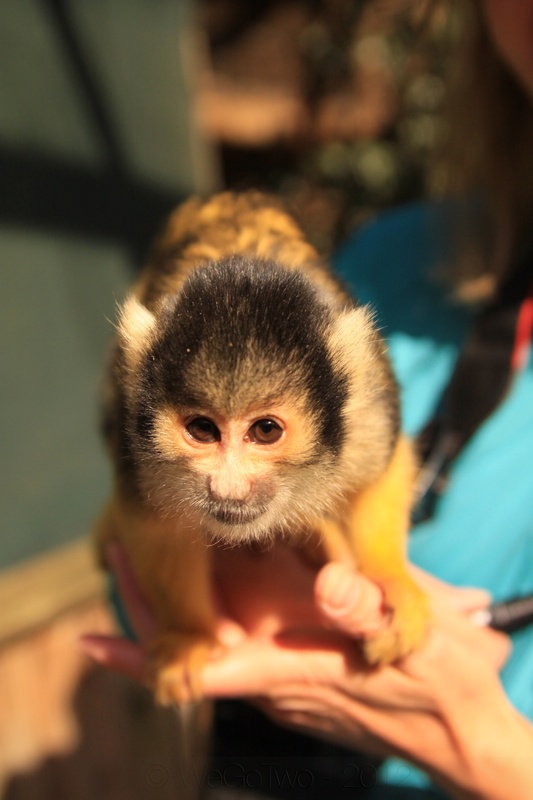 Up close and personal with miniature primates in Africa. Just don’t forget to check your bag when you leave! This entry was posted on Wednesday, September 5th, 2012 at 3:00 pm	and is filed under Africa, Cape Town, On The Road. You can follow any responses to this entry through the RSS 2.0 feed. You can leave a response, or trackback from your own site.